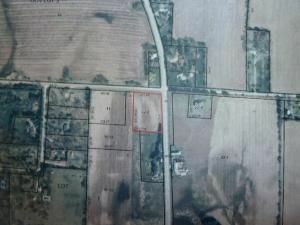 Rural 2 acre lot located soutn of Jefferson. Perked and ready to go. Natural gas easement runs through property. Subject to governing authorities building restrictions. Hwy 106 East from Fort to County N; North on N to W Rapids Rd. This payment is based on a 30-year loan at a fixed rate of 4.12 % with a down payment of $5,450. Actual lender interest rates and loan programs may vary.